LeVillage announces its 2018 “Stay 7/Pay 5” Summer Package — a full week in one of these kitchen-equipped cottages for as little as $285 a night for two. 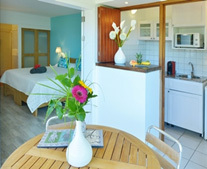 Package includes breakfasts, free wi-fi, i-Pod docks, towels and coolers for the beach. Details below. 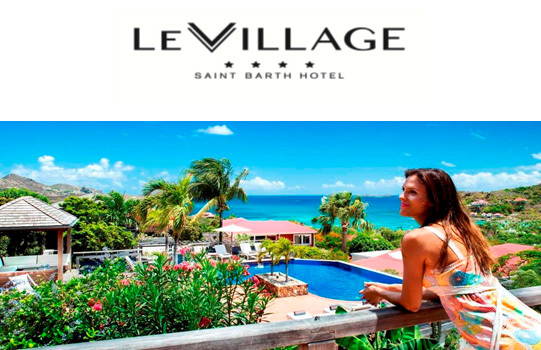 (St.Barthelemy, April, 2018) For the record: when hurricanes ravaged the Caribbean last summer, the 25-room Hotel LeVillage Saint-Barth was only lightly damaged – in fact, it stayed open to host emergency crews who flew to the island to restore telephone, electricity and Internet services. Now Le Village is fully repainted and all spruced up – even the garden is almost back to its usual tropical exuberance. To celebrate, the owners (the Charneau Family, who have owned and run the property since it opened 50 years ago) are re-introducing their popular “Stay 7/Pay 5 Summer Package” beginning May 1 and ending October 28 – the best value on the island. Here’s how it works: Guests commit to spending seven nights at the hotel; at checkout, the hotel deletes the room rates for the last two nights, so guests end up paying for just five nights. That can mean savings up to $1,750 per couple! Bring the family and the savings can be even more eye-opening. The least expensive category known as “Tradition Garden Cottage” costs 325 Euros, approximately $401 a night. That would normally be $2,807 or thereabouts for one week but since Le Village will charge for only five nights, your nightly tab for two will be just $285. The cottages were designed from the ground up by the owners’ father (over 50 years ago) specifically to capture the pleasures of an indoor/outdoor lifestyle, with both air-conditioned bedrooms and naturally cooled outdoor living-rooms. The 10 acres of gardens offer a sense of privacy and the tiered landscaping gives virtually everyone a view of the bay and the sea. There are, of course, some conditions. Guests commit to staying the full 7 nights, the hotel charges for just 5 nights and the discounted total must be paid in advance. A government tax of 5% on rooms is added to the bill at checkout. The rates, conditions, rooms and amenities are all spelled out in detail on the hotel’s website, including the square footage of the interiors and the decks – and the square footage alone makes these cottage suites outstanding values. For a complete photo gallery with detailed descriptions of the suites and amenities, plus detailed rate and conditions, log on to www.levillagestbarth.com. Or, for an instant confirmation, call Reservations directly at 1/800-651-8366.